A group of illegal Israeli colonists invaded, late on Sunday at night, the village of Jibiya, northwest of the central West Bank city of Ramallah, and injured two Palestinians. 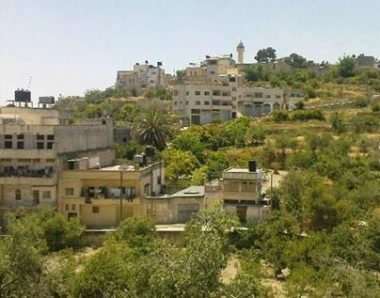 Media sources said many colonists infiltrated into the village, but the locals noticed them, before the colonists started throwing stones at the villages, wounding two, while many Palestinians responded by hurling stones at them. The invaders were hiding behind trees, and throwing stones at the Palestinians, their homes and cars. The village’s mosque used its loud speakers to warn the locals about the invasion, and called on the villagers to remain alert, especially in the invaded area.